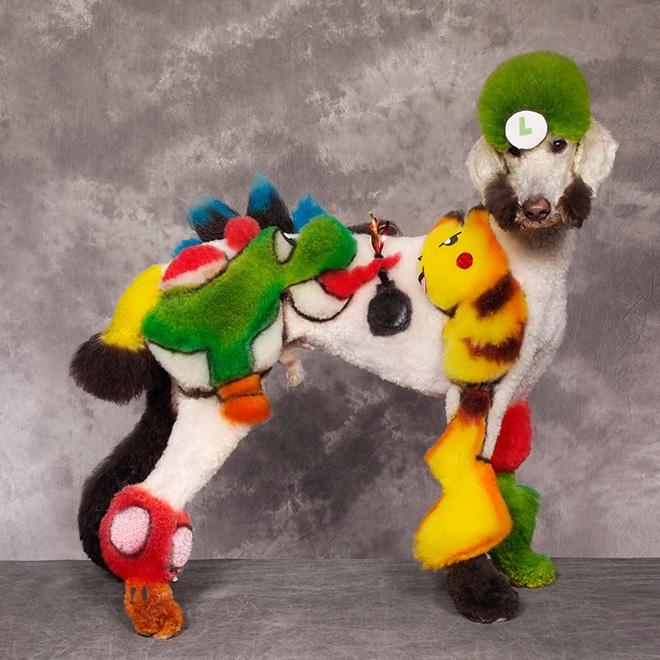 Feast your eyes on the most outlandish pooches you are ever likely to spot courtesy of America’s most extreme dog grooming competitions. 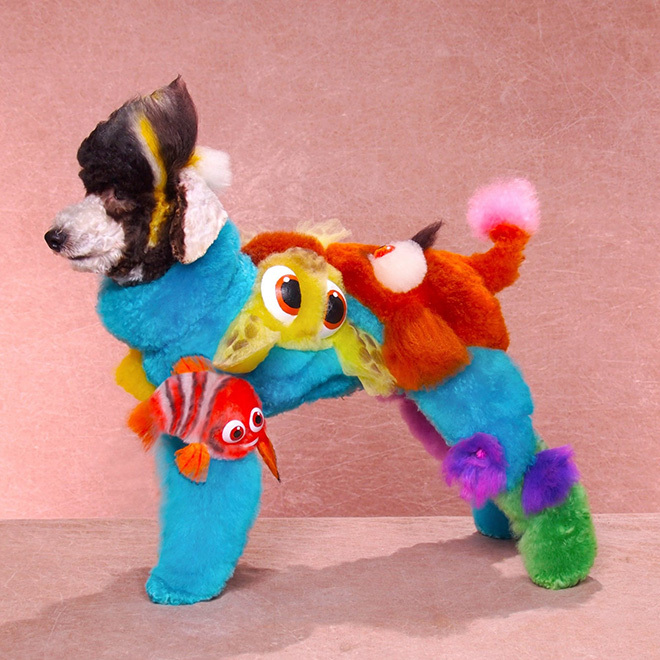 Some people really shouldn’t be allowed to own pets… What do you think? Leave your opinion in comments. Really sad and extremely useless. Well done! 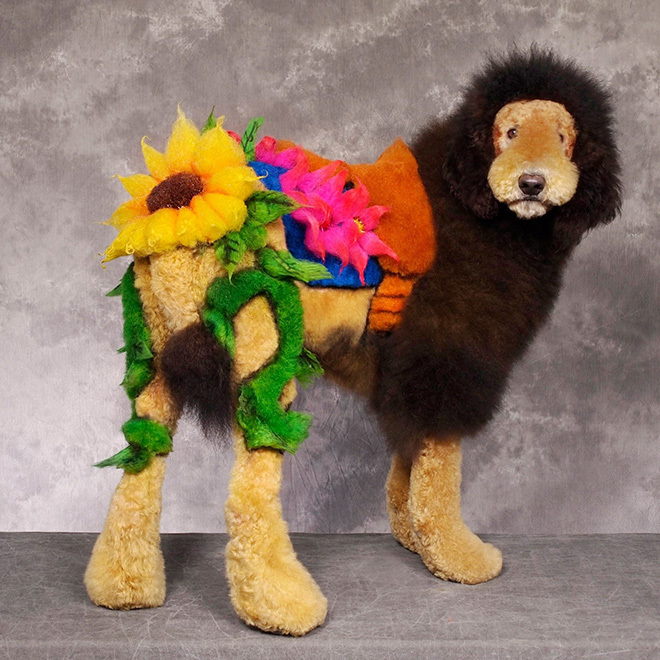 Pure cruelty..why don’t the owners dress up instead of degrading lovely dog’s!! Disgusting doing that to you dog. Bunch of sick people. 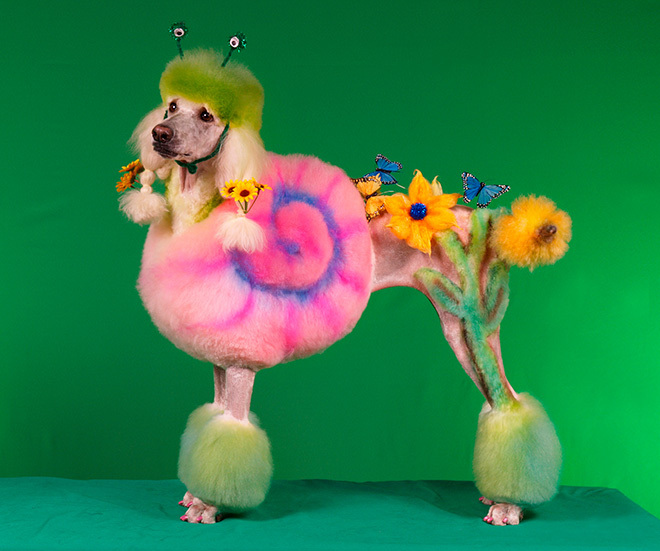 People who do this to their pets should have them taken away and these “dog spas” should be permanently closed down. Totally ridiculous. Not sure what they’re trying to prove. A good cut and TLC is way more interesting. I don’t think the dogs mind one way or another, but I think there’s something a little wrong in the head with people that treat animals as accessories. That being said, amazing work! 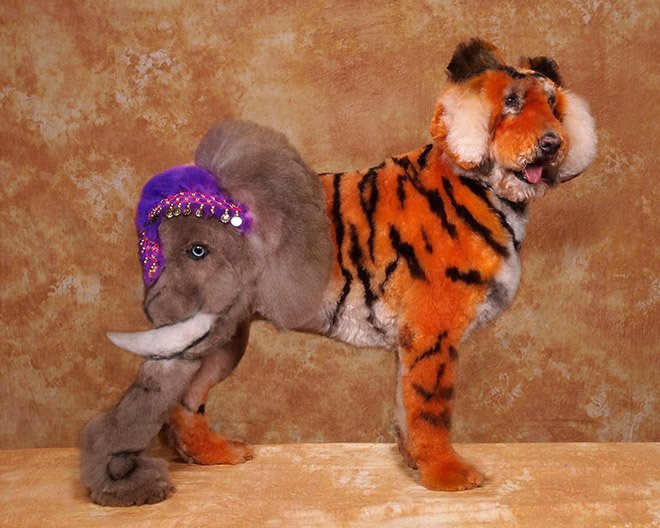 It’s obvious from the comments that few people understand the concept of creative competitve grooming, nor the exquisite care these dogs receive in the year or more prior to to the actual competition while growing enough coat for the competition. The dogs’ coats are shorn off shortly afterwards. 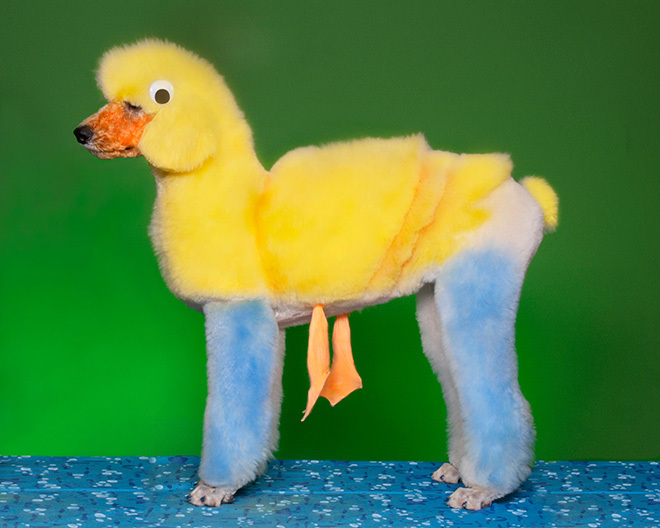 Anyone who actually owns a poodle knows they only nice and fluffy for ad long as the are on a grooming table. Not you cup of tea? Fine. But get the facts before you speak. Otherwise you just appear ignorant. 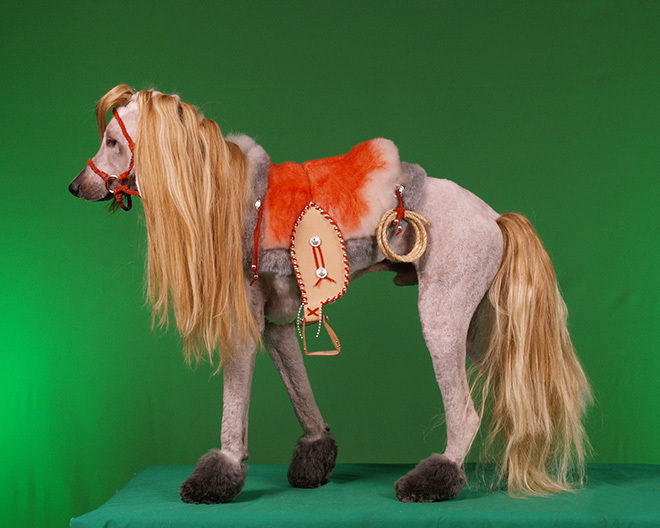 By the way, although I am a former groomer, I never did creative grooming because it wasn’t my cup of tea. These are stunning. The dogs get tons of breaks and strut like peacocks when they’re done. Looks like well cared for, well socialized dogs who get regular grooming, TONS of attention and who get to travel extensively with their people. As the owner of a dog who is creatively styled, I can tell you that he does not have nightmares about the big, red heart on his hip, as he sleeps peacefully in a $4000 bed, his belly full of organic food. He hates to be ignored and his style keeps him the center of attention. Let’s find actual animal abuse to be outraged about. Certainly worth the price of homelessness and lack of medical care for the poor so these clowns can have the money for this triviality. Extraordinary talent. 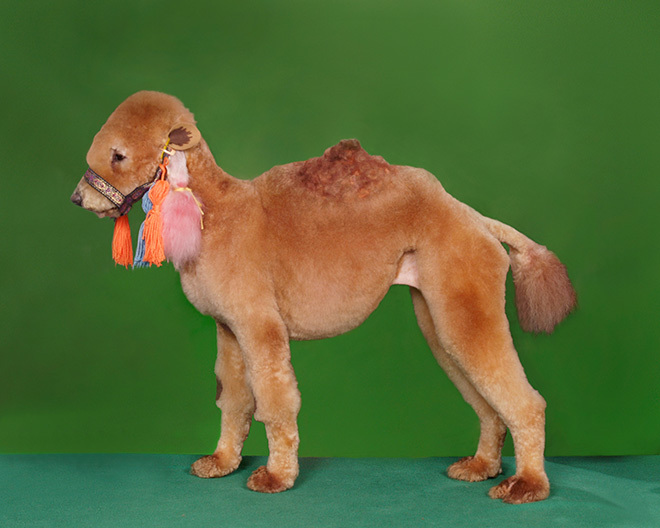 Creative grooming is not about cruelty. These dogs are in no way abused. I vote AMAZING. 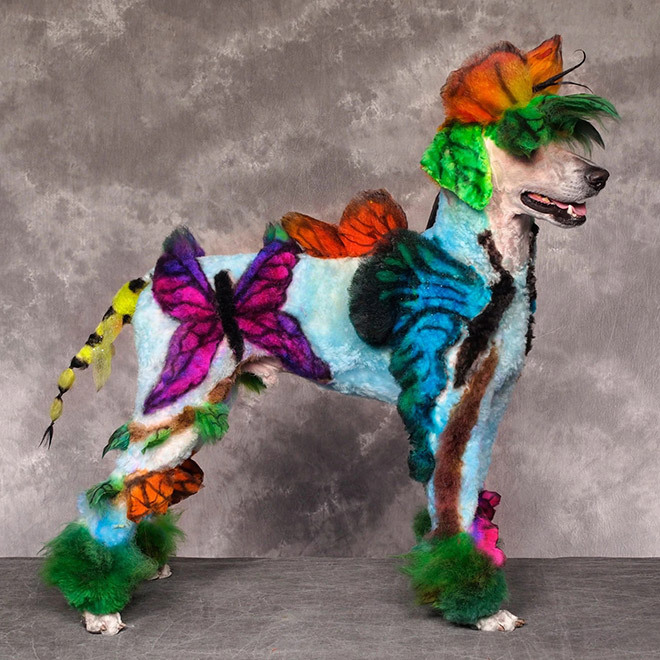 This is an *art competition* for groomers where the canvas is the dog. The dogs are shaved after competition. To have the kind of coat to compete with takes months upon months to grow out. The dogs are probably used for competition less than twice a year. In the meantime the dogs are extremely well-cared for, get tons of attention, and live a pampered life. They have no idea what they look like. Please take the time to understand what you are seeing before spouting off accusations of cruelty or proclaimations of idiocy. And no, I am not a competitive groomer. 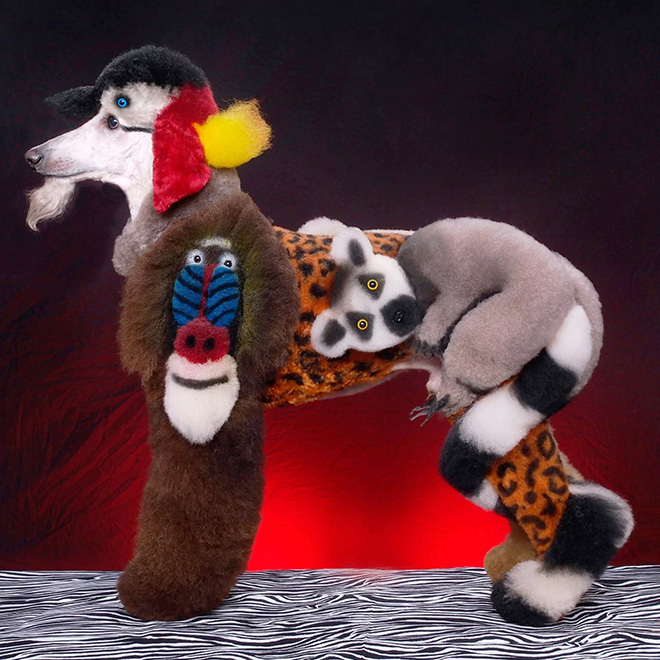 I am, however, a dog owner/exhibitor and an artist and will say the quality of work is impressive, *especially* when you consider you are working on hair on a live animal! Kudos to the artists! 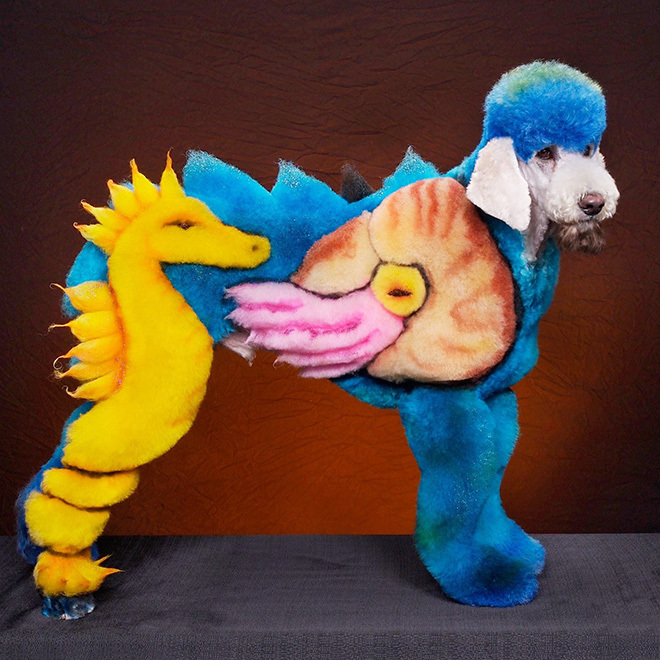 Owning 2 Standard Poodles myself, I cannot imagine the fatigue these dogs to through. Just a normal groom takes about 4 hours and my dogs are completely exhausted. I can only hope these dogs are given plenty of rest, food and water during these time consuming grooms. this is awful. 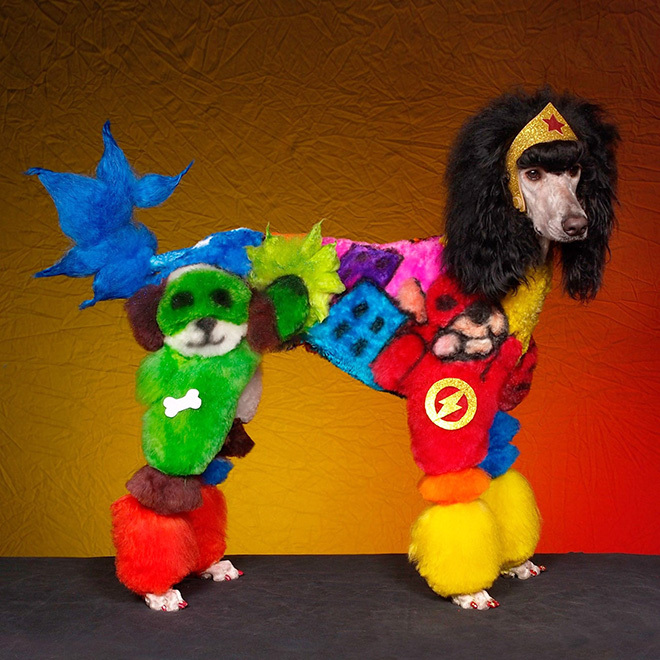 who the eff would do that to their dog? I think this is too much! I doubt the dogs enjoy it. It reminds me of all the little girls that enter Beauty Pageants and are made to look like adults! the dogs LOVE the attention, they are bathed on a weekly basis, fed the best food, massage, and stamina built up to be able to stand on the table for up to 2hrs. depending on the size of the dog. they are athletes in a way. 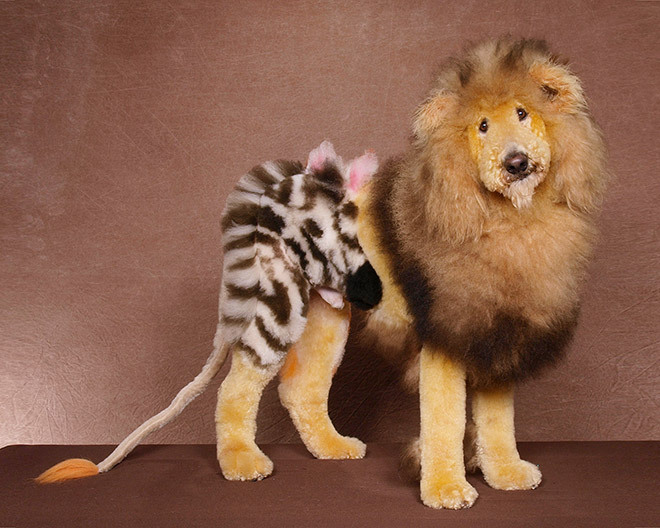 the lion is cute, everything else is ugly and wrong. 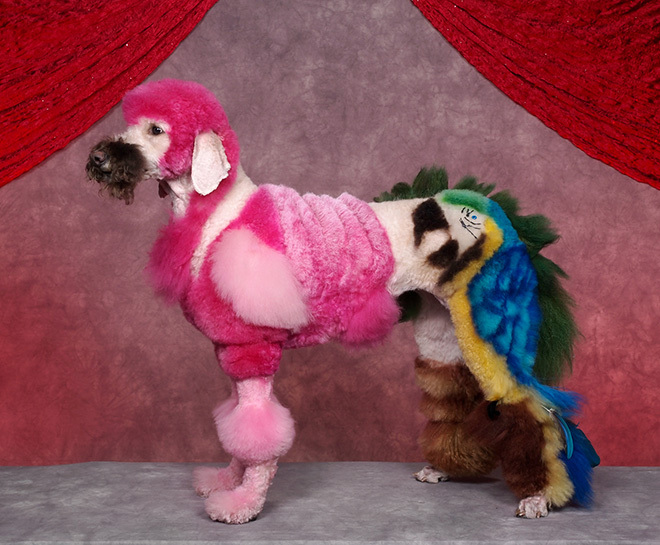 Ridiculous and very ugly, poor dogs ! 4. 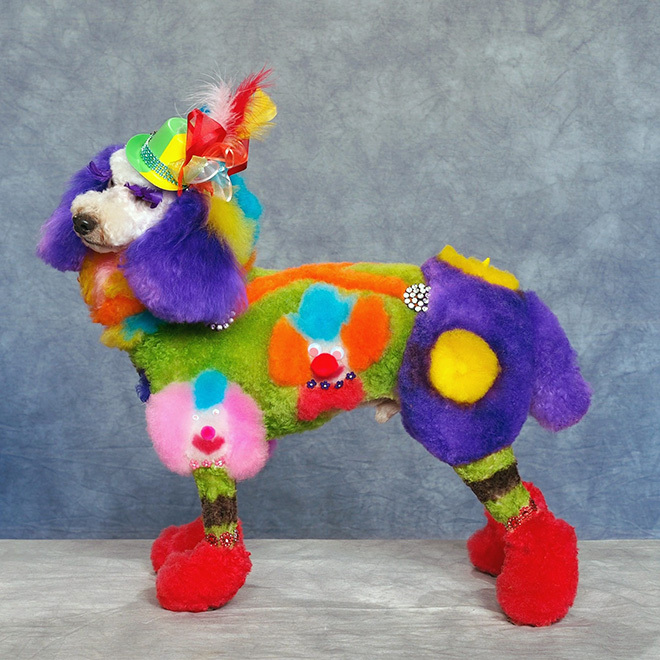 Creative grooming is a long process which means bonding with groomer and dog. 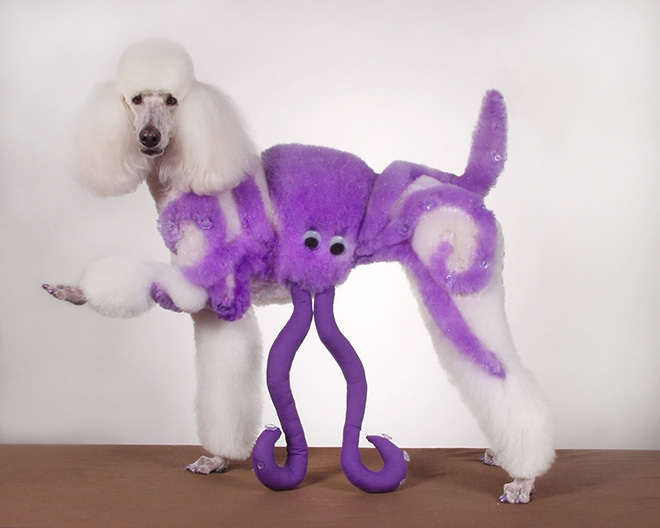 The dogs actually relish in this attention and ate not harmed during this process..
Former dog groomer. I find it silly. I was never interested in this. 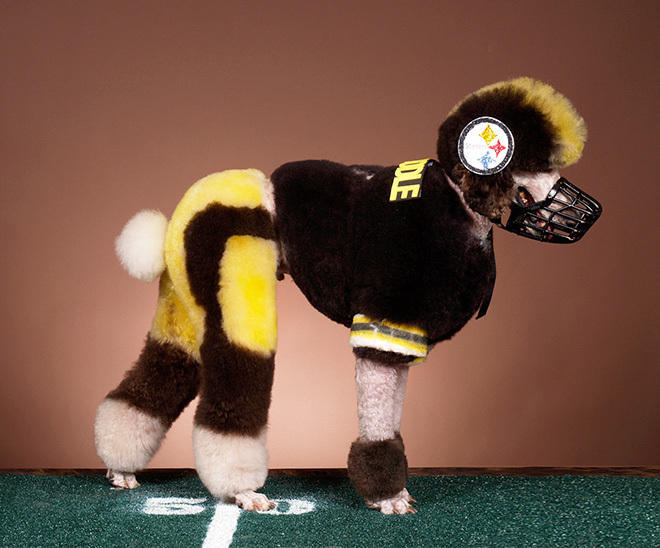 With that said, the dogs are well taken care of, get plenty of breaks, love the attention, and strut their stuff. did it hurt them (the dogs)…say no more …. These are so cool! 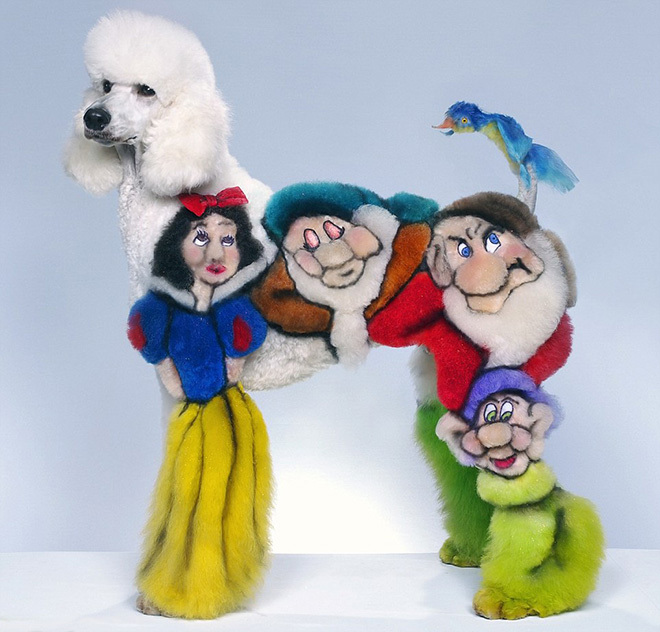 I wonder how they get the poodles to stay still to do all that? These are not photoshopped. I have seen one of the competitions in Vegas. Poor dogs have to stand for hours.